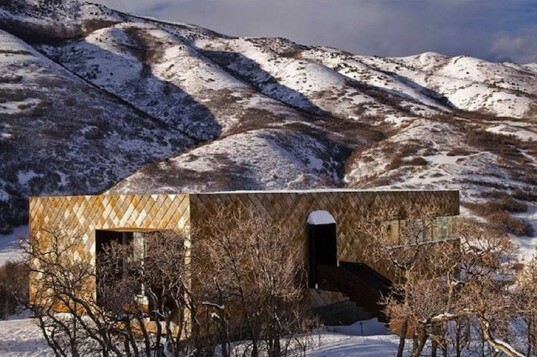 Sparano Mooney Architecture and Design have outdone themselves with the Emigration Canyon Residence in Utah, which is clad in recycled steel shingles. Overlooking its namesake canyon in Salt Lake City, Utah, the contemporary but decidedly rustic 2,500 square foot dwelling earned its LEED Silver certification by incorporating a number of sustainable features into both the home's interior and exterior. 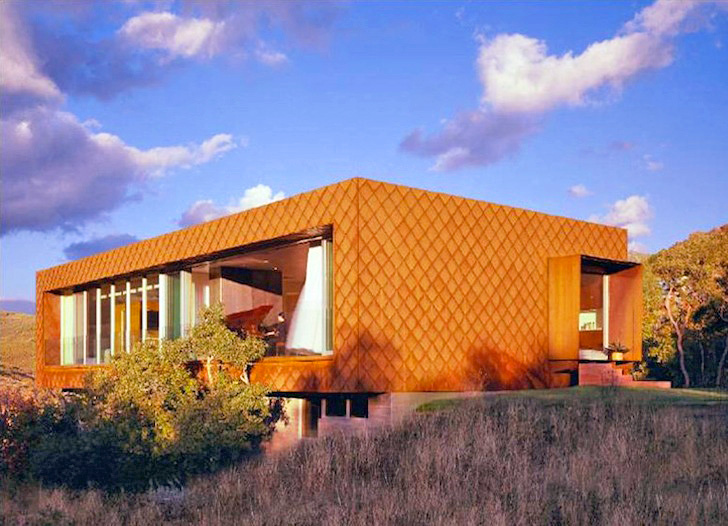 The board-framed and concrete home is clad in textured steel shingles that will weather well in this rather inhospitable environment. A 30 foot operable wall opens out into an outdoor room overlooking the canyon, in-floor radiant heating keeps the place warn in winter, and solatube skylights pump all kinds of daylighting inside. Very little excavation was conducted in order to build the home, which helps to preserve the spectacular surroundings, including a host of native oak trees. Finally, only indigenous, drought-resistant plant species were used to landscape the garden, which minimizes watering and supports biodiversity.